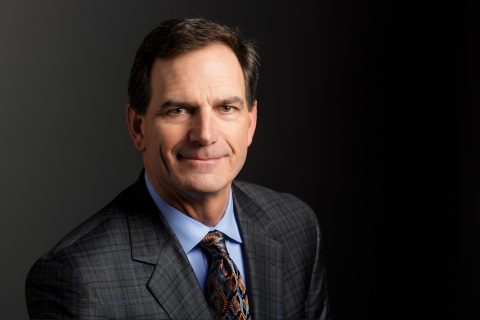 OSHKOSH, Wis.--(BUSINESS WIRE)-- Oshkosh Corporation (NYSE:OSK), a leading designer and manufacturer of specialty vehicles and vehicle bodies, today announced that President and CEO, Wilson R. Jones has won a Glassdoor Employees’ Choice Award honoring the Top CEOs in 2018. Glassdoor, one of the world’s largest job and recruiting sites, released its annual report recognizing the Top CEOs, which highlights top leaders that employees love working for in countries throughout North America and parts of Europe. Among chief executives recognized by employees in the U.S., Wilson Jones received an approval rating of 93% based on the anonymous and voluntary reviews team members from Oshkosh Corporation shared on Glassdoor throughout the past year. When team members submit reviews about their company on Glassdoor, they are asked to rate various factors about their employment experience, including their overall satisfaction and other workplace attributes like senior management. As part of these ratings, employees are also asked to rate whether they approve, disapprove or are neutral about the job their CEO is doing. Among the 770,000 companies reviewed on Glassdoor, the average CEO approval rating is 69%; and Jones has a rating of 93%. Oshkosh Corporation’s Wilson Jones was the only leader headquartered in Wisconsin to reach the top 100. In addition to this award, Oshkosh Corporation was also named a Glassdoor 2018 Best Place to Work, one of the World’s Most Ethical Companies and a Military Friendly Employer. Glassdoor is one of the largest job and recruiting sites in the world today. Set apart by the tens of millions of reviews and insights provided by employees and candidates, Glassdoor combines all the jobs with this valuable data to make it easy for people to find a job that is uniquely right for them. As a result, Glassdoor helps employers hire truly informed candidates at scale through effective recruiting solutions like job advertising and employer branding products. Launched in 2008, Glassdoor now has reviews and insights for more than 770,000 companies in more than 190 countries. For labor market trends and analysis, visit Glassdoor Economic Research. For company news and career advice and tips, visit the Glassdoor Blog and for employer-related news and insights to help employers hire, visit the Glassdoor for Employers Blog. Visit Glassdoor.com or download our apps on iOS and Android platforms.